A must for English competitors. 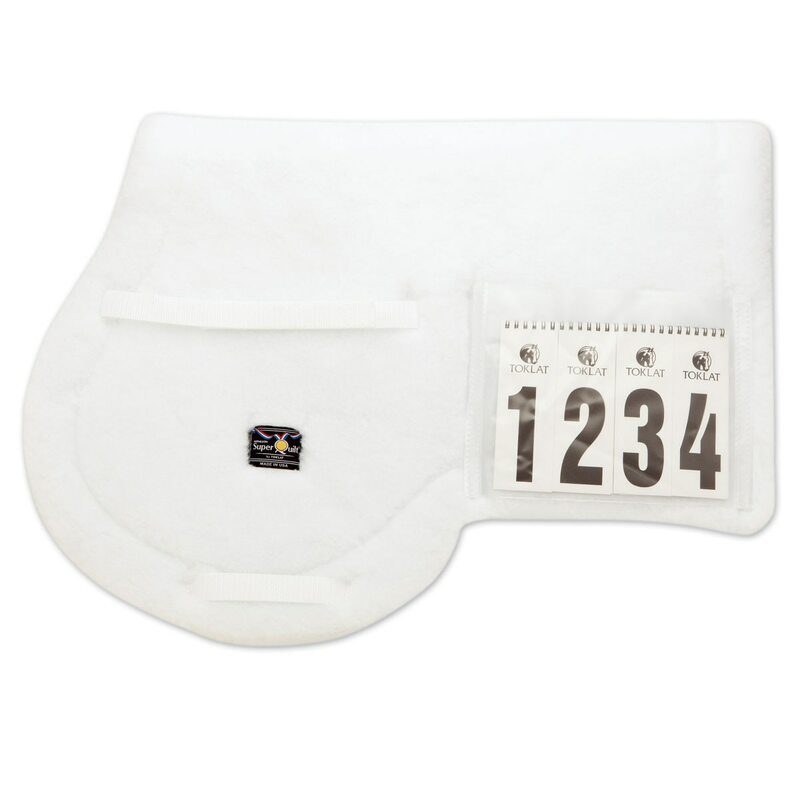 Conveniently display your number on your saddle pad. The SuperQuilt Competition Pad features a handy, removable, clear number pouch secured by VELCRO® brand fasteners. High quality Medallion polyester fleece top is combined with a thick layer of polyester filler quilted to a brushed 100% cotton fabric. SuperQuilt wicks away moisture and ventilates to keep your horse's back cool. SuperQuilt Competition Pad is rated 4.9 out of 5 by 9. Rated 5 out of 5 by Momof5 from Excellent for show! I bought this as a Christmas gift, and my son loves it. It will be perfect for him and his horse during show season. The side plastic number pocket will prevent him from losing his number & keep it clean. He can't wait to use it! Rated 5 out of 5 by Txcowgirl from Good quality product. This is a nice quality pad for the price. It is going to look nice in the show arena. Rated 5 out of 5 by happy girl from great pad i really like this pad, it fits well and looks great to show in. Rated 5 out of 5 by Debbie from Beautiful saddle pad I love the thick quilting on the underside of this pad. The pre-sewn number holders are a great idea; the velcro number holders just don't stay in place as well after several uses. This is a very attractive pad. Rated 5 out of 5 by delon from Perfect Competition Pad! Love the clear velcro sleeves for your competition number. No more tying the number to your waist or fumbling for safety pins! This is such a beautiful pad and will make you look like a pro in the competition ring!